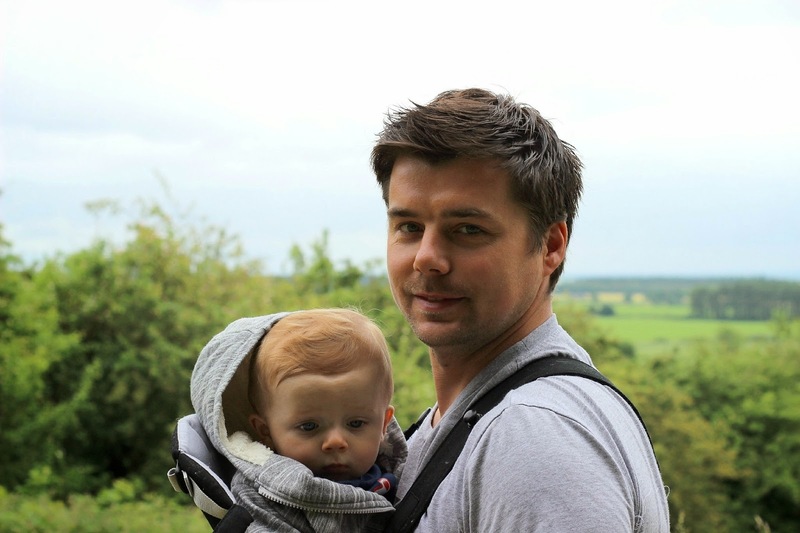 made up of little things .... the life and loves of a lincolnshire lass: First Father's Day! It's been an exciting day around these parts, it being Matt's first Father's Day as a Daddy! He took the day off from building work and planned a packed itinerary for us all, including visiting his dad, walking the dogs, visiting a local farm for a chat with the animals and a yummy lunch, a visit to a local antiques centre and Forrest's first swim. And believe it or not (I am frankly amazed, myself) we did indeed pack all of this in to today! I was a bit fraught leading up to today - trying to pack so much into a day is something I would NEVER do out of choice but I wanted Matt to get as much as possible out of his day with Forrest. And it was fine. I really ought to relinquish control more often!